Sinornithoides was a small carnivore (meat-eater) that lived in China during the middle Cretaceous period, about 120 to 120 million years ago. Sinornithoides was only about 3 feet (1 meters) long, and weighed only 12 pounds (5.5 kilograms). 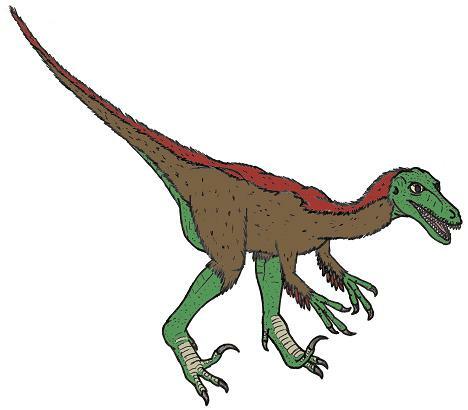 It is one of the earliest known small Theropod dinosaurs. Asian Dinosaurs - Sinornithoides lived in China. Sinornithoides was a genus of dinosaur. "Sinornithoides" means "Chinese bird form". Sinornithoides was a member of the Saurischia ("lizard-hipped") order of dinosaurs. What this means, is that although Sinornithoides was not closely related to lizards, it did have similarly shaped pelvic bones. Sinornithoides was a Theropod - a member of a group of related bipedal dinosaurs that included the ancestors of birds (although Sinornithoides was not itself an ancestor of birds). Sinornithoides lived between about 120 million years ago and 100 million years ago, during the Cretaceous period. Sinornithoides was a carnivore (meat-eater). Sinornithoides was about 3 feet (1 meters) long. Sinornithoides weighed about 12 pounds (5.5 kilograms).